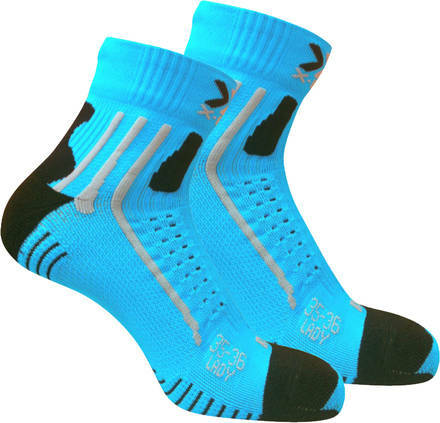 Quality socks from X-Bionics running series. Suitable for the cross-country skier also. The thicker footbed works well on long distances and the vents help to lelease heat. Perfect fit.